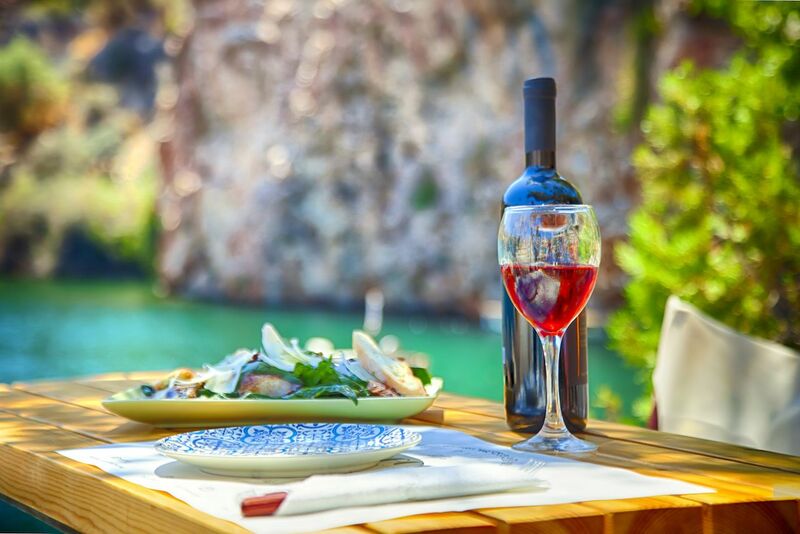 Days enjoying cerulean blue waters and secluded beach coves, followed by meals made from gorgeous produce and fresh seafood, sound like the dream getaway — albeit a dream that most of the world shares when it comes to Greece. With a rise in popularity, the port areas of Greece’s most popular islands have become overrun with souvenir shops and lackluster restaurants. Thankfully, Crete remains one of the country’s lesser-known spots. From mom-and-pop food spots to a bustling capital city and remote, untouched beaches, Crete is one of the top places to hit for a vacation in Greece. Here are five reasons you should check out the island before the secret’s out. 1. The food and wine scene is incomparable — and authentic. The gastronomic scene in Crete has always been based on traditional, family-style cooking. Sure, you can find the specialties that you’ll see on the menus in all of the tourist areas of Greece, like spanakopita, gyros, and tzatziki. But, thanks to Crete’s rich history (it was formerly occupied by the Venetian and Ottoman empires), as well as its proximity to Cyprus and Turkey, a slew of international influences also come alive in the cuisine. Expect creamy cheeses, tons of local spices, and more fresh produce than you’ve ever seen. When it comes to drinking, don’t expect to sip on varieties that you’ll recognize. Indigenous grapes reign supreme in Crete. For whites, vilana, vidiano, dafni, and thrapsathiri are used for varietal wines and blended bottles that are full of acidity and saline-tinged minerality. For reds, kotsifali, mantilari, and liatiko are common, vinified in both dry and sweet expressions. And don’t forget to end your meal with a shot of local raki. 2. Heraklion’s nightlife is legit. From bustling restaurants loaded with outdoor seating to elegant waterfront dining to a handful of hopping nightclubs, the main city of Heraklion has it all. Rooftop bars covered in live plants and projecting movies — don’t be surprised if Romeo & Juliet or Pulp Fiction is playing — sit between handmade jewelry stores and all-day cafés, all ideally placed on manicured, car-free streets. 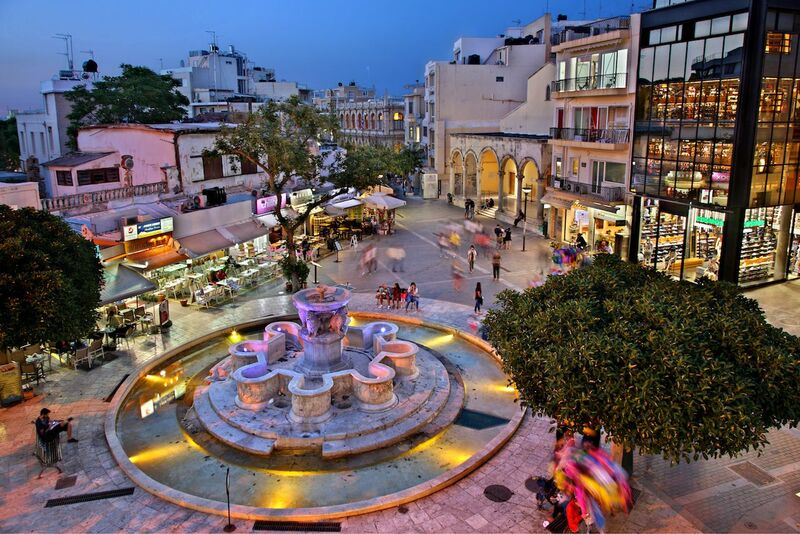 The pedestrian-friendly nature of the city, coupled with shopping, delicious food, and walkable access to the beach, make Heraklion a must-see European capital. For some of the city’s most happening scenes, check out THINK TANK for rooftop movies, beer, and budget-friendly yet delicious food; Swing Thing for cocktails and optimal, streetside people watching; and Wets & Drys for a speakeasy-style cocktail lounge. 3. The country’s most Instagrammable beaches are here. A trip to Crete is basically one giant Instagram post in itself, but the beaches are definitely the best part. 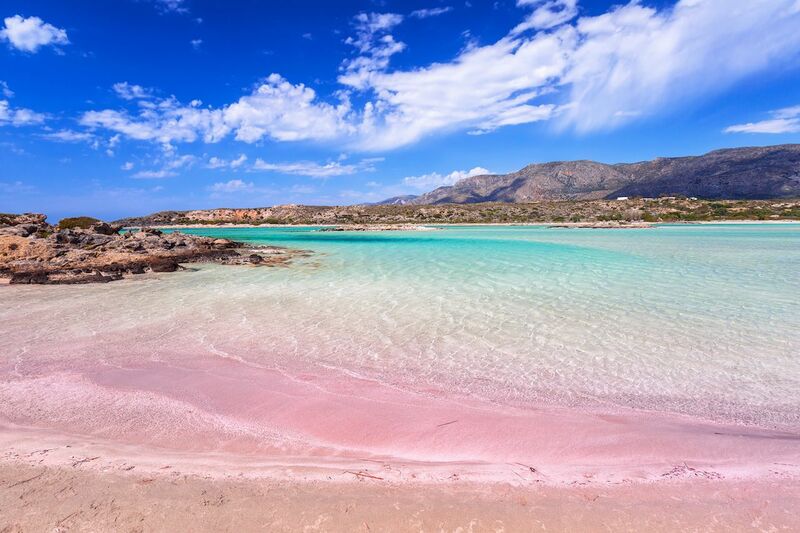 From the pink-sand beaches of Elafonisi to the crystalline waters of Hersonissos, nearly all of Crete’s coastline is brimming with tempting beaches — perfect for swimming, sunning, and seaside cocktail-sipping. For the island’s most Instagrammable and unforgettable beach, head to Balos Beach, a remote lagoon located just 37 miles northwest of Chania. The two-hour, slightly-terrifying mountainside drive, plus the mile-long hike down the side of a cliff it takes to reach this gorgeous spot is totally worth it. Pack a bag full of snacks and water, since refreshments are limited to just one small stand. 4. Taking day trips to other islands is super easy. Whether you’re based in Heraklion, Chania, or Rethymno, exploring other islands is just a boat ride away. 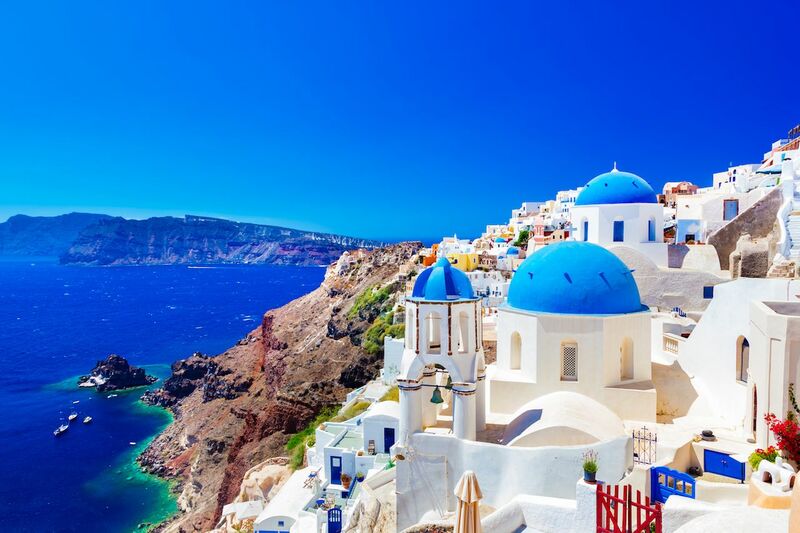 Accessing Santorini from Heraklion takes just three short hours, and to Mykonos, it’s just four and a half. And if you’re really feeling adventurous, a trip to the historic capital city of Athens will run you about seven hours. Paros, Naxos, and Milos are also easily accessible by boat, making for perfect day or overnight trips. Grab the ferry, get your iconic Santorini photos, and head straight back for a night of local cuisine and raki in Heraklion. 5. Ancient history is everywhere. The nation’s rich history isn’t exclusively rooted in Athens. 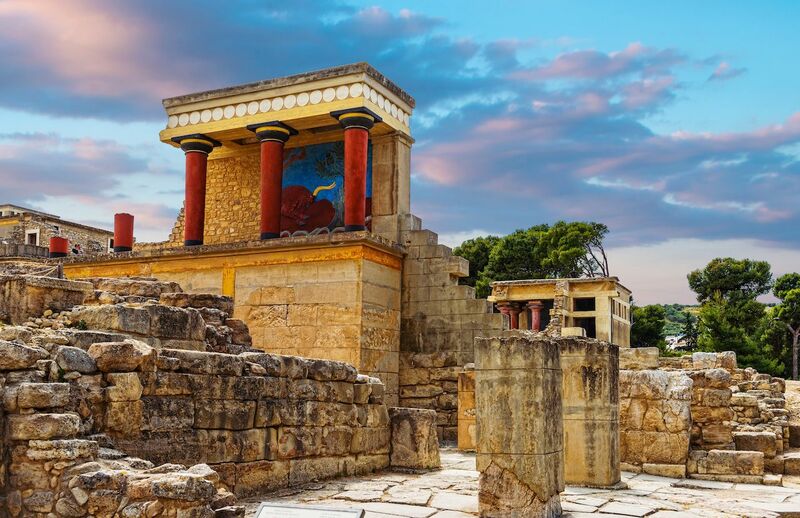 Knossos, which is just a short drive outside of Heraklion, is Crete’s most exciting historical attraction — it’s the island’s largest Bronze Age archaeological site. It was the center of Minoan civilization three thousand years ago, and was inhabited for thousands of years before that. Within the city of Heraklion, be sure to check out the old Venetian walls of the city, stretching nearly three miles in length. The walls were originally built during the island’s Venetian occupation in the 13th century in order to keep out Ottoman invaders — taking over 100 years to be completed.